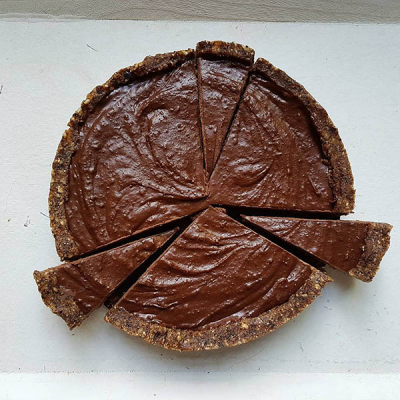 The simplest pie ever made with dates, hazelnuts, almonds and cocoa. In a food processor, mix the remaining dates with the almond paste, the cacao butter, cacao powder and 1 teaspoon vanilla bean powder until you get a very smooth consistency. Pour over crust and let it harden in the fridge. Voila! That easy!